Ever go grocery shopping, with the intent of buying one thing, and then letting your stomach decide what you actually buy? I figured I would walk by the natural food section of my grocery store, just to browse( for the record, browsing in that section is NOT wallet friendly for me. I spend a LOT of money on food!!) and then I passed by this pizza. I’ve seen this pizza over and over at the store, and just never bought it. And after eating it, I’m really mad at myself for not buying it sooner. While it was cooking, my kitchen transformed to normal kitchen to a pizzeria. Seriously. It smelled so good! After it came out, I thought I would be disappointed because it was a VERY thin crust, but rest assured, it was delicious. I cooked mine on a pan, so the edges were a bit crunchy, but the middle part of the crust was nice and soft. 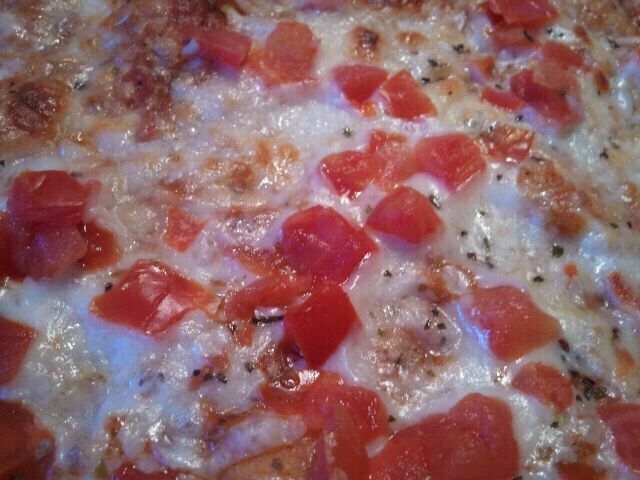 The pizza as a whole wasn’t super greasy, so that made me happy. The crust was even pretty flavorful, with a bit of garlic and a bit of spice weaved in. 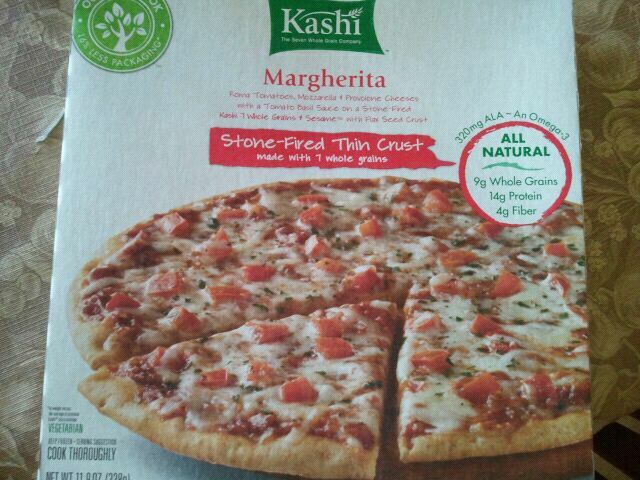 It even tasted “doughy” despite the fact that it was a thin crust. The tomatoes tasted unbelievably fresh, and were juicy, as if they were cut straight from the garden. There were garlic and onion flavors mixed in with the cheese, of which there was just the right amount of. Not drowning in cheese, and not so little that I had to wonder if the company remembered to put any cheese on at all, but just right. I went to the store the other day to pick up some random things, including some frozen entrees for when I dont have time (or more likely, don’t feel like) cooking. 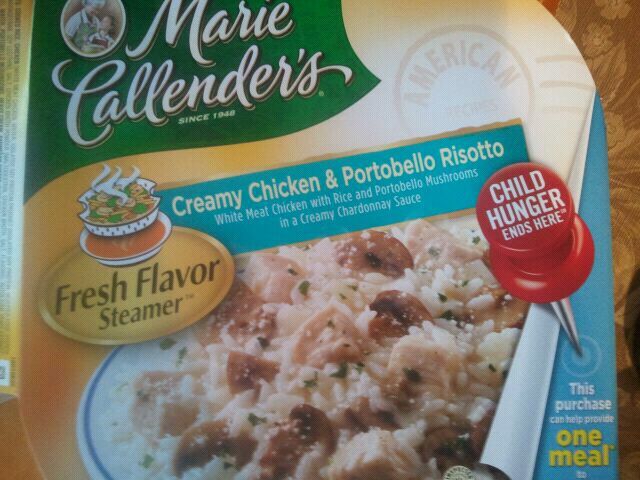 I saw this meal, Marie Callender’s Cheesy Chicken & Rice, and knew I had to give it a try, especially since I liked the last Marie Callender meal I tried. 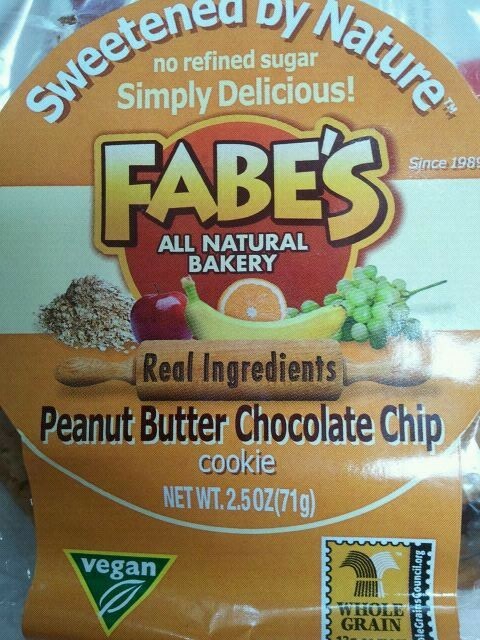 The ingredients weren’t too bad, so I put it in my cart and bought it. I was excited to try this. 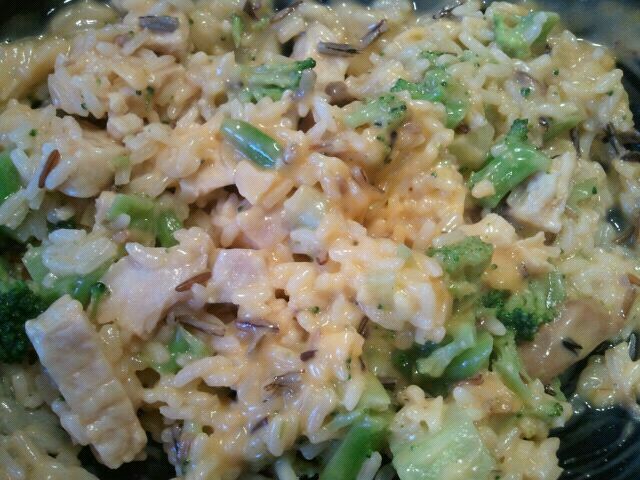 I picture a gooey, cheesy entree, with huge chunks of chicken and pieces of broccoli scattered throughout. Luckily, after I cooked it for the designated time, it looked pretty much as I had imagine it. However, when I pictured cheesy, I pictured more of like a stringy, gooey cheese. In this meal, it was more like a cheese sauce, or something that had the consistency of a cheese dip that comes from a jar. But don’t get me wrong – it still looked delicious. And let me tell you, it was a long 8 or 9 minutes I waited for this entree to be done including rest time. Sort of like when I bake cookies – longest 8-10 minutes of my life. So, moving on, I tried the pieces of chicken first. They were juicy and chewy, but also a tad salty. There was a good amount of them in the entree, which I liked. I think this help contribute to the 24 grams of protein in this meal, which made me and my gym-worked muscles quite happy. Next up, the broccoli was tender, but not soggy, so it was perfect for me. I happy to be quite a fan of broccoli, so the fact that this was included in the meal made me happy on the spot. 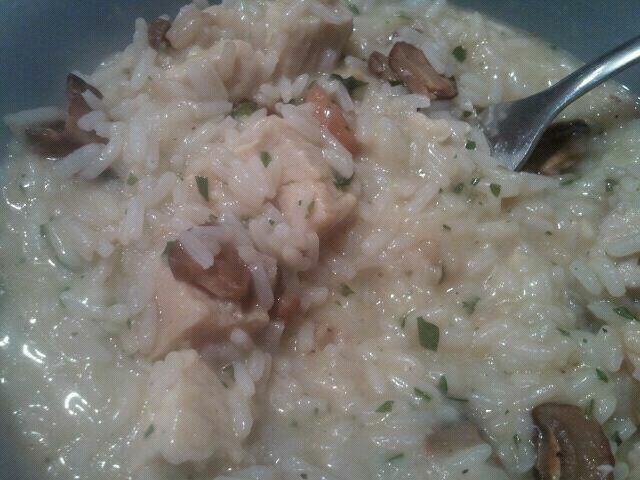 Lastly, the rice was fluffy and delicious. There was white rice and some grains of wild rice. It thickened up with the sauce quite nicely, which had a cheddar flavor. The cheese sauce was actually a bit of a let down, as it had a bit of an artificial taste to it. 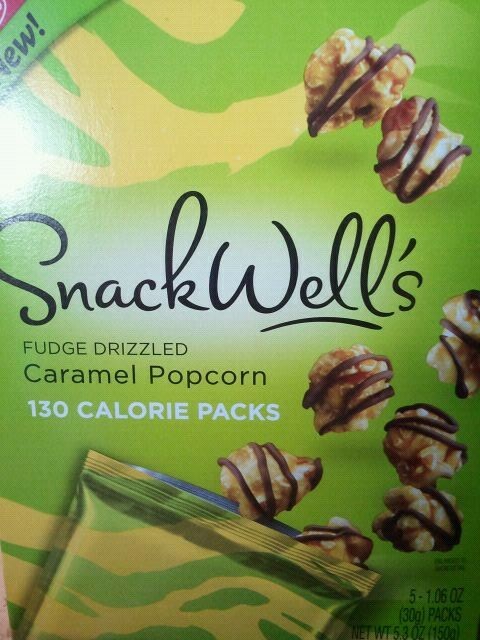 I was expecting a real cheese flavor, and it had more of a cheese-from-a-can or jar flavor. It wasn’t bad, but it wasn’t my favorite. I’m not a pasta person – I’ll take rice, bread and pretty much any carb over pasta. However, an exception to the rule is macaroni and cheese. How can anyone possibly turn it down? Gooey, cheesy and super comforting – what’s not to love? 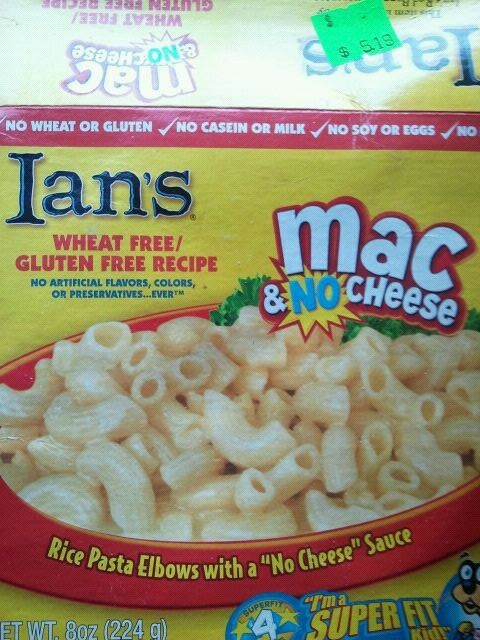 Ian’s Natural Foods is a brand that I happen to like, so I figured I would try the Ian’s Wheat Free/Gluten Free Mac & NO Cheese that I saw at the store. 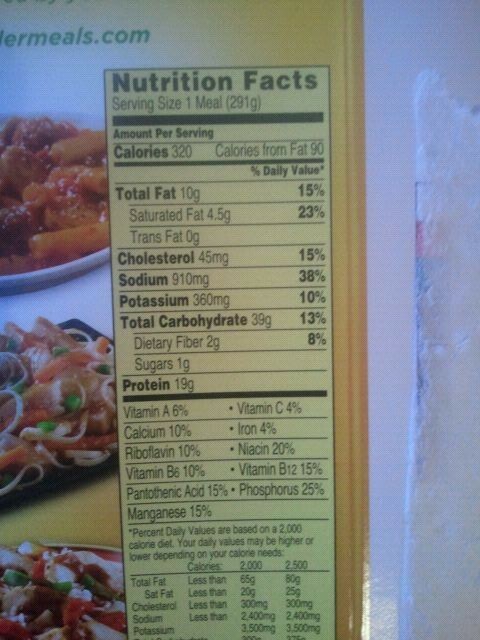 According to the sticker on the box, I paid $5.19 for it, which is a bit steep, but I also know from experience that gluten free foods tend to be expensive. I wont lie and say it was the most attractive looking entree. It looked kind of...mushy. Now, finally onto the flavor. What happened to me is the sort of thing that I hope has happened to more people other than myself. When there are 2 cups on the table, say one with water and one with soda, and you go to drink the soda cup but accidentally grab the water cup, take a sip, and then are completely taken aback it’s not soda. That’s what it was like with this mac and cheese. Or, rather, “Mac & NO Cheese”. I was expecting at least somewhat of a cheesy flavor. However, I got nothing. It tasted like chicken noodle soup. Weird, I know. 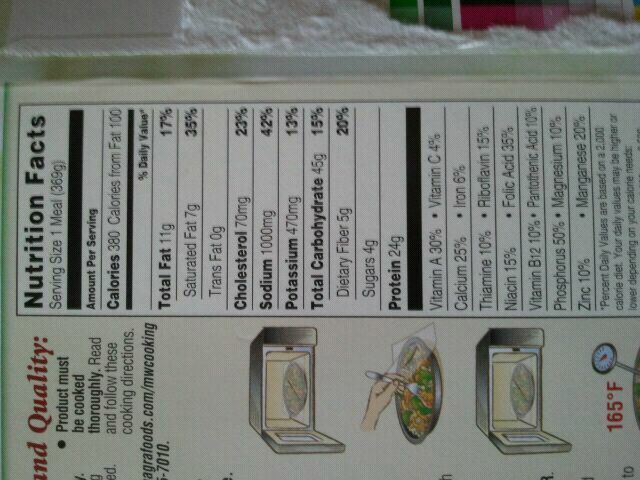 But honestly, it had the flavor of chicken noodle soup, but with a creamy sauce and noodles like macaroni and cheese. I’m not saying it was bad, it was just unexpected. The noodles were pretty good, but had spots of funky-ness going on. Like some noodles on the edges were over cooked, and some on the bottom fell apart and were “piecy” almost. 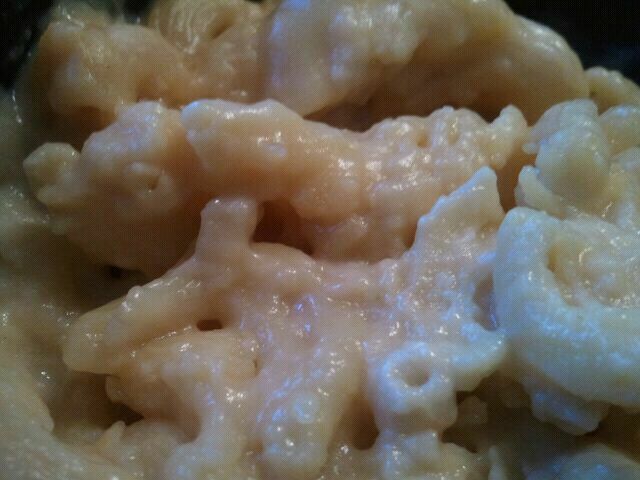 The rest of/majority of the noodles were soft and had that baked, home-made mac & cheese consistency. 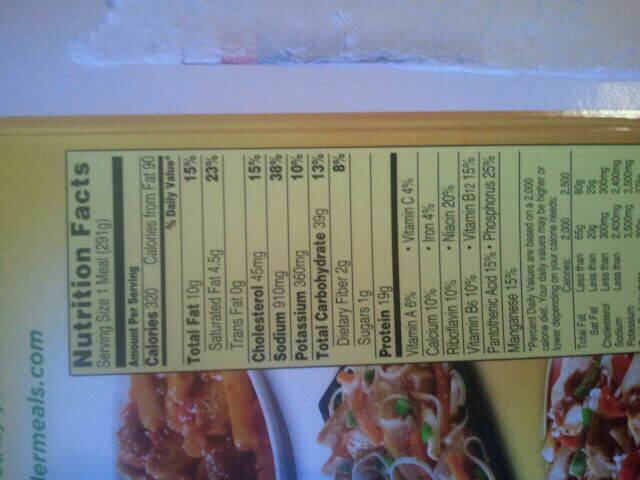 The sauce surrounding the noodles was creamy, and not too salty, and there as a good quantity. So overall? I’ll give it a 3 star rating. 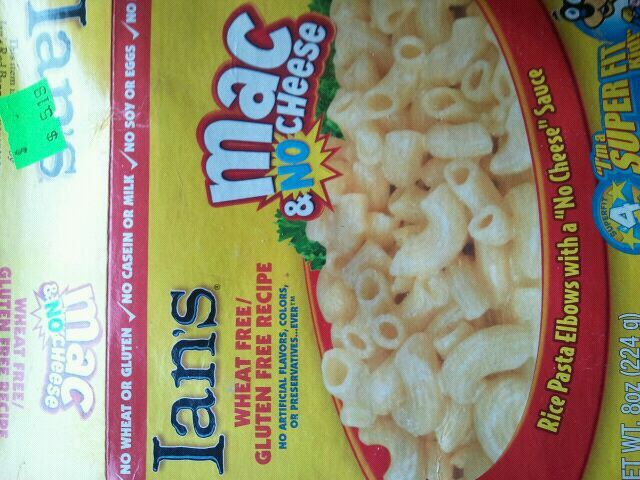 I might eat it again, but it won’t satisfy a macaroni and cheese void for me. I’m a total protein convert. Don’t get me wrong. I love my carbs (especially in the form of cupcakes and cookies…oh… and bread...=) ), but I’m much more into protein, especially since I have a high activity level. Greek yogurt? Yup. Cottage cheese? Yup. Protein shakes? You bet. 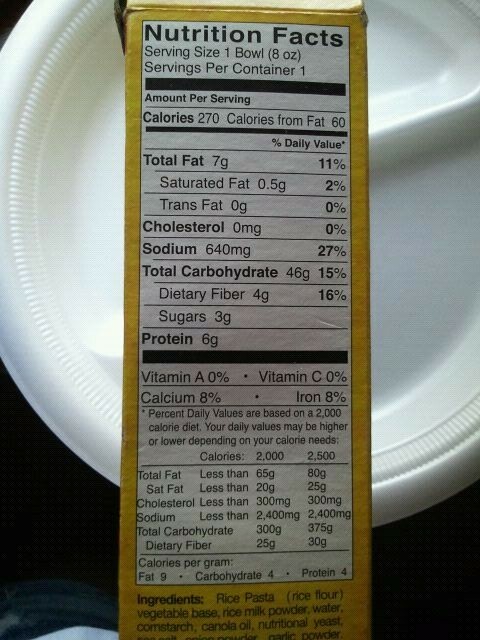 So, if given the opportunity to eat something dessert-worthy, like a biscotti, WITH protein? You know I’m going to be happy about that ! 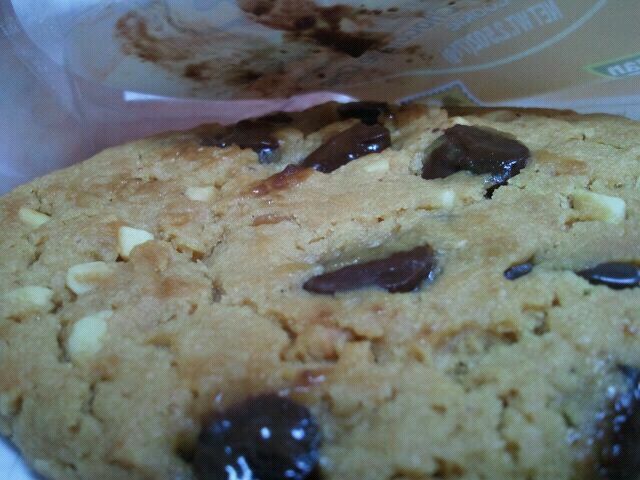 I already reviewed the Mocha Chocolate Chip ProScotti. 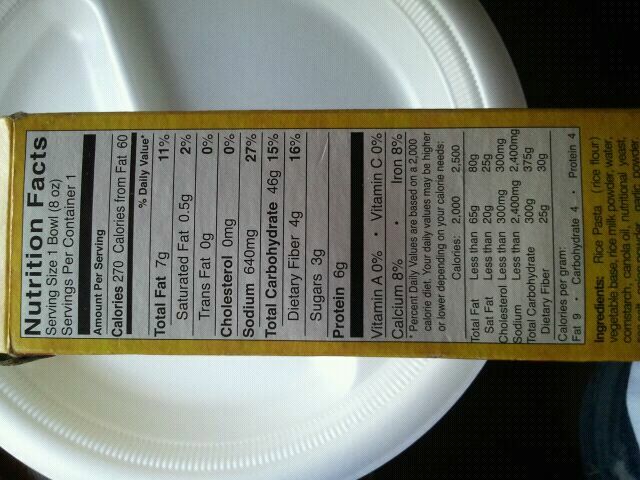 These are soft biscotti cookies with protein and omega-3’s in them as the package states. 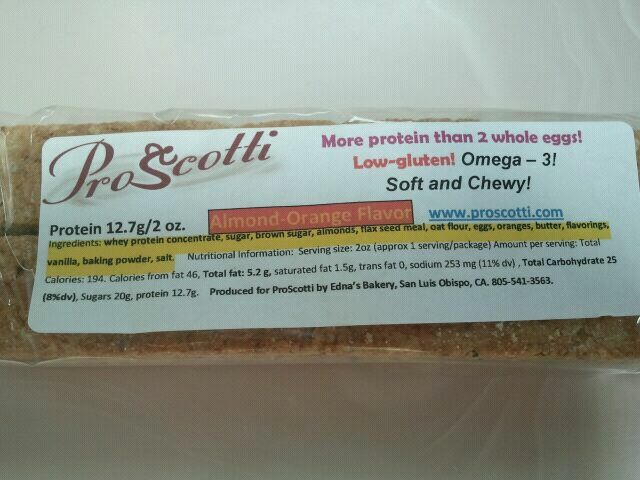 Next up, I tried the ProScotti Almond-Orange Biscotti. They came with 2 in a pack and had a really awesome aroma to them. I thought it kind of smelled like a cranberry almond muffins my family used to always have in the house when I was little. Every Saturday morning someone would toast up the cranberry almond muffin, and the aroma would fill the house. The smell of these ProScotti reminded me of just that. 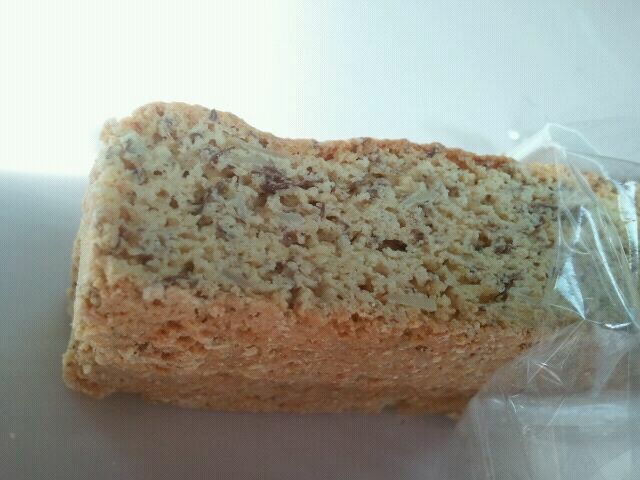 It was very soft and almost a bit crumbly when I bit into it. It was pretty sweet, and very delicious. 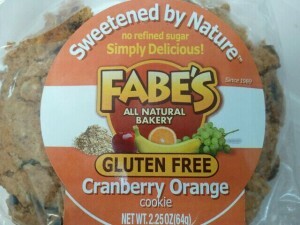 It had a delicious orange zest flavor, but almond undertones, and a hint of vanilla as well. I certainly think this flavor will satisfy a sweet tooth, because I felt like I could taste the sugar in it. 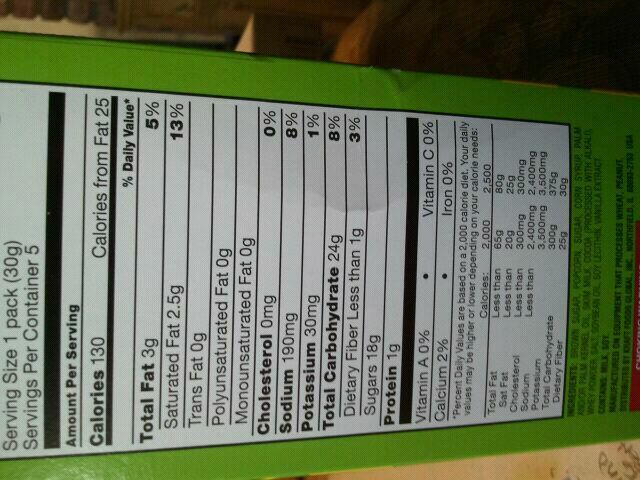 I looked at the nutritional facts and found there to be 20 grams of sugar in the pack, so it makes sense that they are sweet. 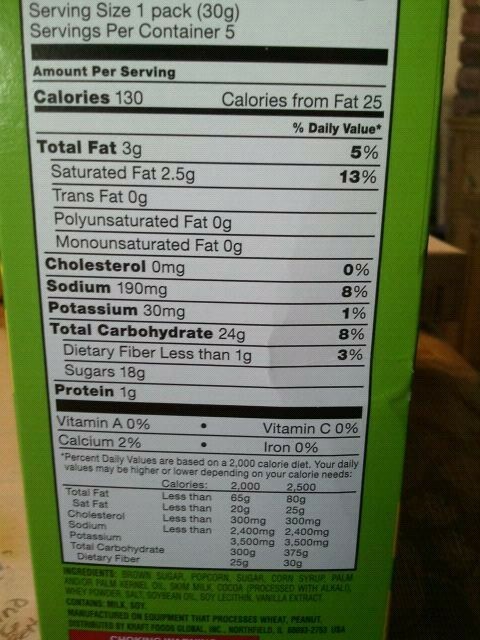 1 package is 194 calories, 5.2 grams of fat, 25 grams of carbohydrates, 20 grams of sugar, and 12.7 grams of protein. I was provided this product to try for free from the company. You could say I have had PLENTY of frozen meals in the past. Between eating them intentionally for a review, eating them because I haven’t had time to fully cook a meal, or the more likely option, I’m too lazy to cook anything, I have had a good amount of meals in the past. 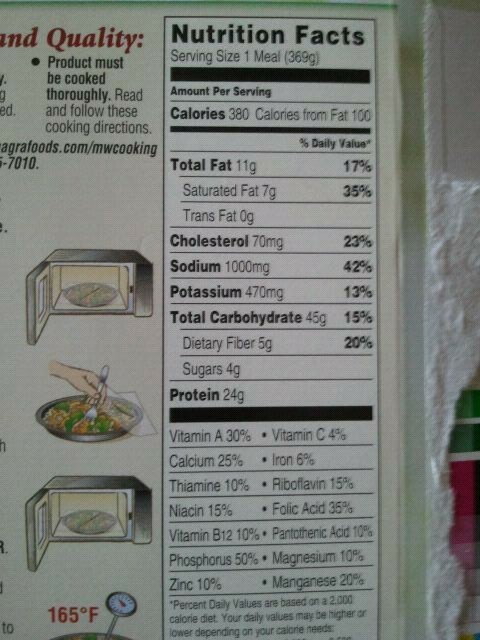 I do have a couple standards when picking out frozen meals. 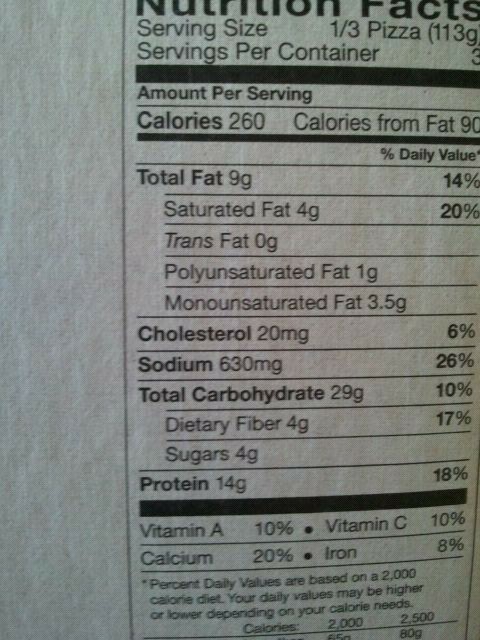 They can’t have any trans fats, they have to be made with organic or natural ingredients, and they can’t be crazy high in saturated fat or calories. And in order for me to buy and eat it again, it has to taste homemade. If it tastes super commercially prepared, or bland, or just mediocre, I will not buy it again. I usually stick to Amy’s Kitchen Meals (like here are the ones I reviewed! ), as they never have disappointed me in the past. Well, I went shopping the other day and to my disappointment, there were HARDLY any Amy’s meals at that store. So, I went looking for another option. 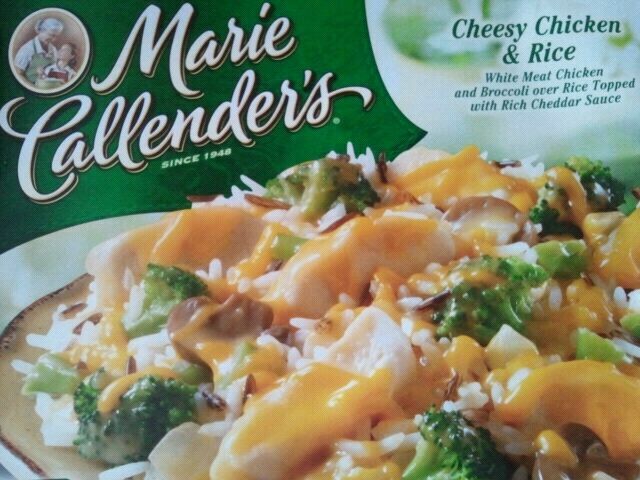 I saw these meals by Marie Calleender’s, and although the ingredients weren’t as nice as I would like them, they weren’t horrible either. So yea, it looked absolutely delicious. Why? Because it was! I also steamed up some veggies on the side, because I felt this meal was lacking in the veggie department minus the few mushrooms thrown in. There was a good amount of sauce to mix the meal, which I liked, and the smell was delicious. 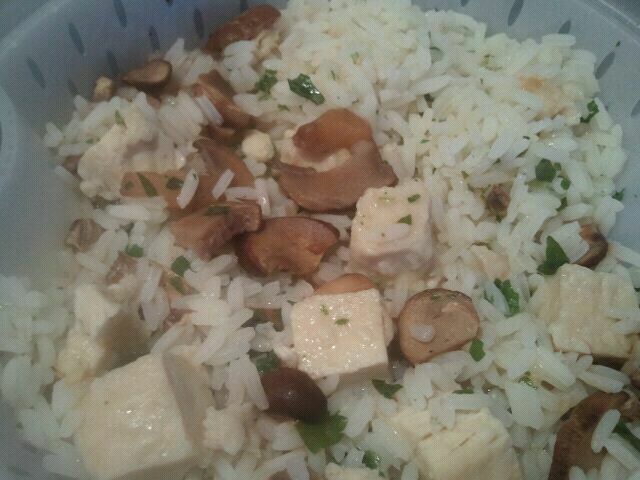 The mushrooms were chewy, tender, and actually pretty good. I cant say I’m a *huge* fan of mushrooms, they are more of a take-it-or-leave-it vegetable for me, but these were pretty good! Lastly, the chicken. 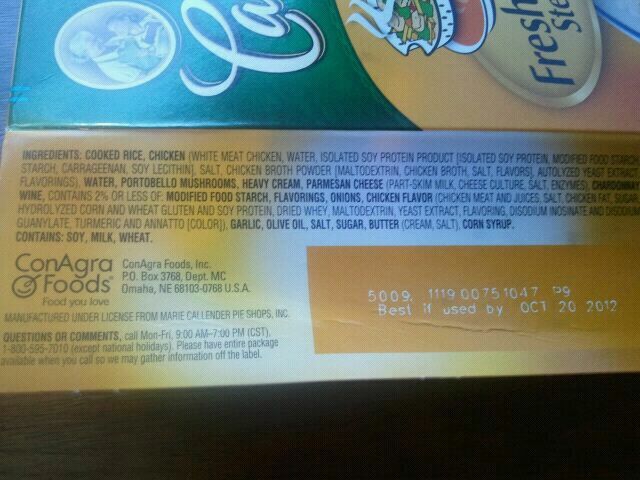 The chicken was sort of weird to me- it was cut into cubes so I was expected a very processed tasting chicken. However, it tasted like it was pulled right off of a rotisserie chicken! 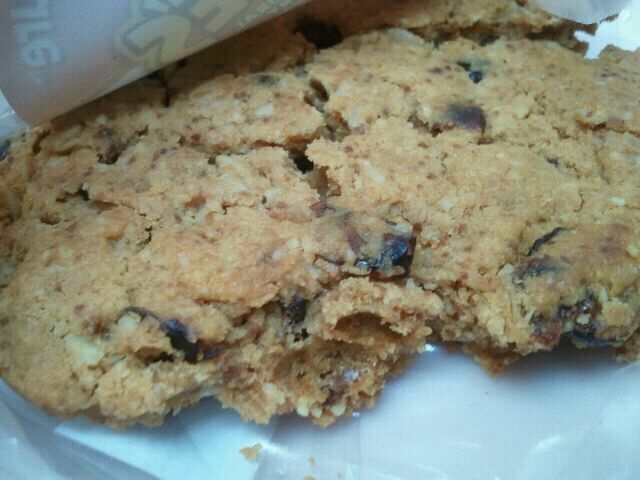 It was chewy and soft and really quite good! It was a tad on the salty side, but nothing I couldn’t handle. What’s your favorite product by Marie Callender? I also really like the biscuit mix! As I mentioned before, I’m one of those people that loves to exercise. My primary forms of exercise include kickboxing, biking and strength training, along with occasional walks. I happen to love Asics when it comes to sneakers, and I was using Asics running sneakers knowing that I probably should be getting cross training sneakers. Which makes sense, doesn’t it? If I’m barely running, why get running sneakers? Well, the story behind that is that ever since high school when I did track, I loved Asics, so I kind of just stuck with a brand name I loved. However, I went to the stores today and saw these sneakers that caught my eye. 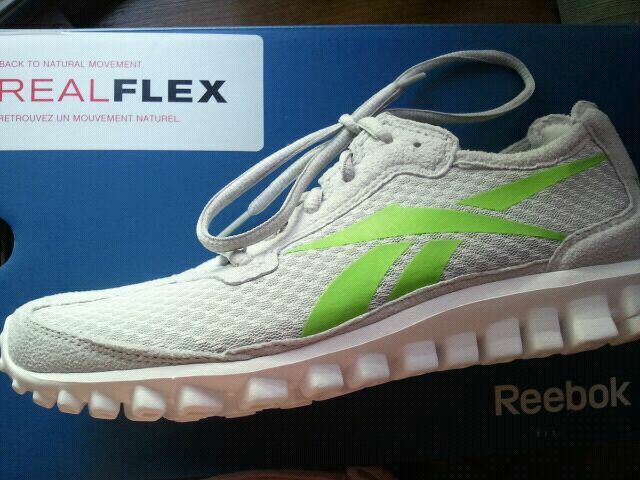 When the cashier told me I could use them as cross training sneakers, I knew I had to try them. I looked on the website about these sneakers, and saw they were meant for running as well. 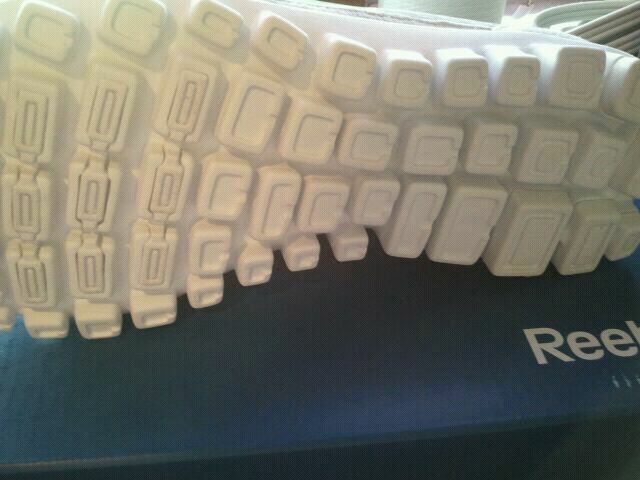 I thought it was cute that the website said the shoes had “76 Running Buddies”, or squares on the bottom on the shoes. But ANYWAY. The real test came when it was time to work out. I laced em up and used them at my cardio kickboxing classes. At first, they felt kind of weird. I was afraid I was going to roll my ankle because the top part of the shoe is very soft and cloth-like rather than a tough and thick top of a sneaker, like one made leather or what not. I felt slightly unsturdy with the ankle area, but only when we did lateral movements, like lunges where we lean to the left foot and then quickly to the right. As class went on, I realized the support elsewhere was actually pretty good. I felt absolutely no pain or pressure in my knees, which I really liked. I also liked that the shoes felt so light, so kicking the bag felt easier than usual. I had to adjust the shoe once (untie and retie the knot) because after the lunges I felt my foot was slipping slightly in the shoe. I’m sure I will get used to them as time goes on. Another thing I liked (which I have heard several times from people are the main reason they buy a shoe)? They looked really nice! I liked the color scheme, and they were attractive to the eye. I’ll be using these only indoors, so whoever goes to my gym or lives in my house will probably only see these pretty shoes until I buy a new pair. Which, again, I hope will be 6-8 months from now. 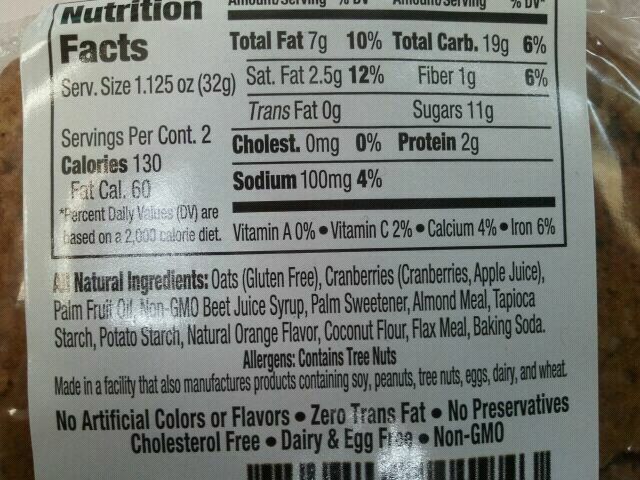 What are these doing on a healthy food and product blog? 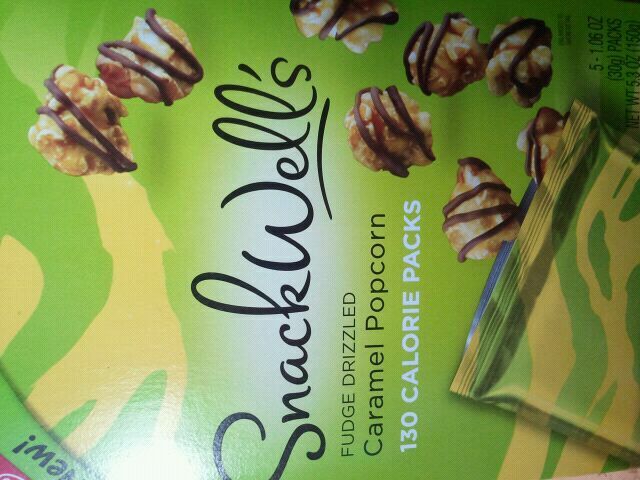 So out came Snackwell’s Fudge Drizzled Caramel Popcorn. I tried a few pieces, and thought they were so overly sweet. 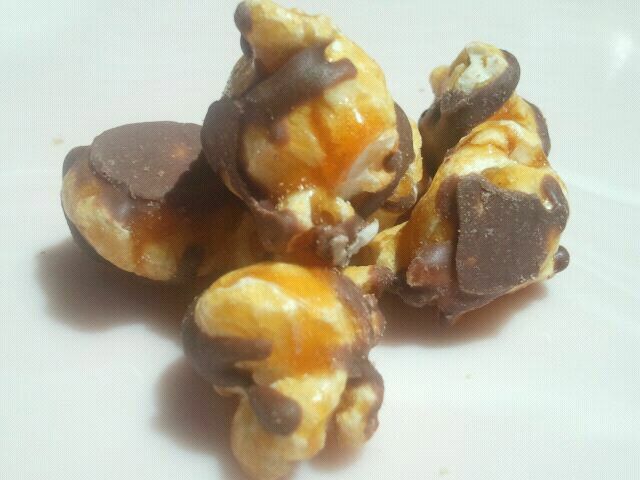 They tasted like caramel popcorn, but very sweet caramel popcorn, with the added “fudge drizzle”. I don’t think the fudge drizzle is really even all that necessary, because while the flavor is there, its not that prominent. It was sort of like a chocolatey undertone. 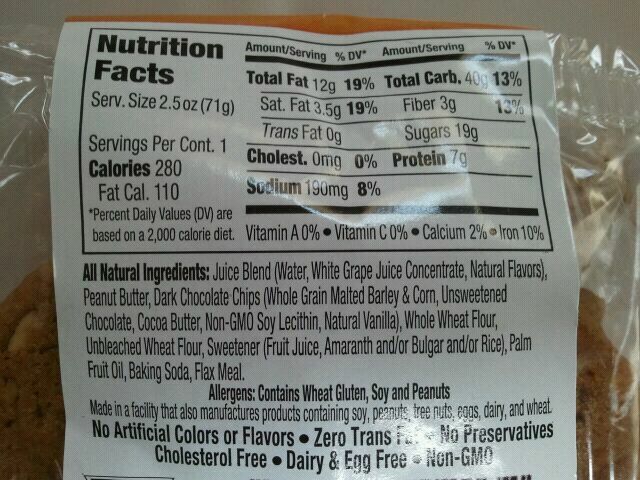 There is only about 3 grams of fat and brown sugar is first ingredient, so it definitely has more of a candy appeal than a savory. 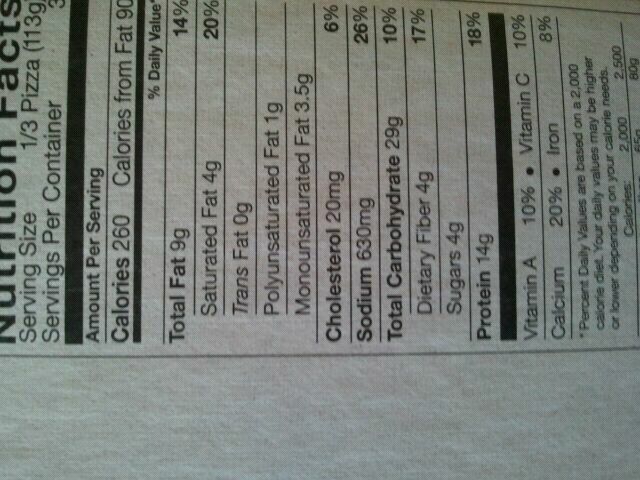 It does have a slightly salty flavor as well, but certainly mostly sweet. The popcorn is crunchy, which is good, and I would estimate about 25-35 pieces of popcorn per bag, which isn’t bad for 130 calories. 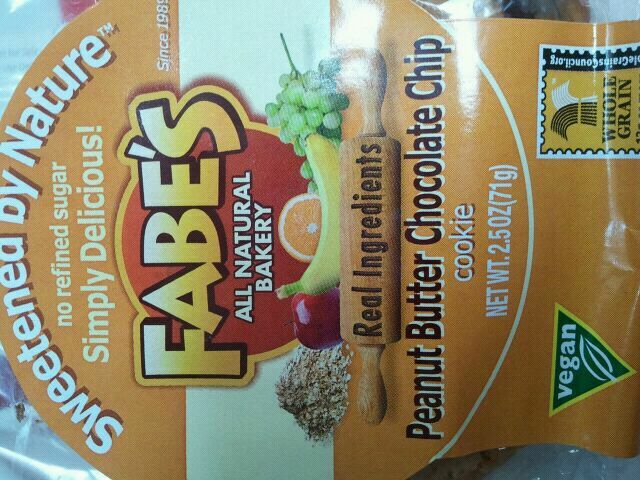 Instead of eating straight up, I’d like to mix this in something. A trail mix, or even a bag of buttered popcorn as a “treat”. 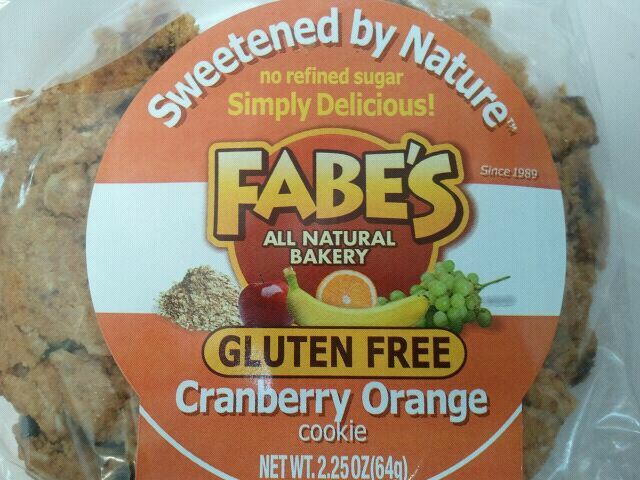 I think its way tooooo sweet to eat by itself, but if super sweet’s your thing, you’d might like this! A friend of mine tried this, and she really liked it. But then again, she is guilty for buying carrot cake solely to eat the entire icing off the top and throw away the cake. Although she won’t admit it, but I’ve seen her do it. The 5 winners are, selected randomly by random.org is…. 5. Comment Number 16, Sam. CONGRATS! PLEASE check your emails from me, healthnuttxo [at] yahoo [dot] com thanks to all who entered. More giveaways to come!